A 377 Float Cage opens the 326L/322L Lever Valve to supply intake water to a tank.  When the water reaches the desired level the Float Cage closes the Lever Valve to accurately maintain the liquid at the desired level. 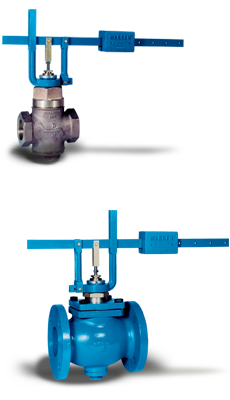 The 326L/322L combines a balanced, pilot operated, single seated Type 26/Type 22 globe valve with a rugged lever actuator.  Sizes 1/2 through 2 with NPT connections.